Removal of exterior fittings (shutters, downspouts, etc) power washed, hand scrapped and caulked our house and detached garage. He then primed and painted the house, garage and deck and re-assembled everything. Jay and his guys were enthusiastic from the start. He communicated clearly and showed up exactly when he said he would. The work (and it is a big house) was completed quickly and professionally. There was an area on one wall we did not like the look of. Jay came right back and made it right without delay or complaint. Exterior power wash, scraping, caulking, minor carpentry repair, priming and painting of a large 100 year old house and garage. I was admiring the paint job on a house I drive by on my way to work every day when I saw Jay's sign. I immediately jotted down the number, but did not call right away. I live in an old house and there always seems to be a project looming. You kind have to save for a while and pick a direction. A year later this house I had been admiring looked as good as it did when it was first painted so I started researching. I looked on Angie's list and was happy to find the company and read his reviews. His reviews were great and his business location was very close to my house. I finally made the contact. Jay responded quickly, came to the house, discussed my expectations, what he could do and had a quote to me the next day. I responded that I had more questions and he called me right away. His responses to my questions made me comfortable and I felt his quote was reasonable. He was able to start on the project in less than a week. He and/or his employees worked on Saturdays and Sundays as needed to get the project to fit in their work schedule and it was completed in about 2 weeks. All the men were pleasant and left the job site cleaned up every day. Jay kept me informed as to when to expect people working and kept me informed about any unexpected issues (very few problems that we had not discussed in the beginning). I am extremely pleased with the workmanship and would hire them again. 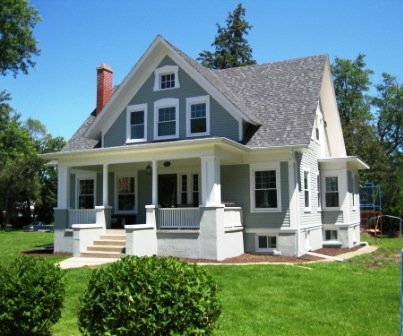 Type of Work: Interior & Exterior Painting, Carpentry, Wood Working, Landscaping, General Construction. Jay and his crew are clean, neat, prompt, courteous, and provide excellent service. 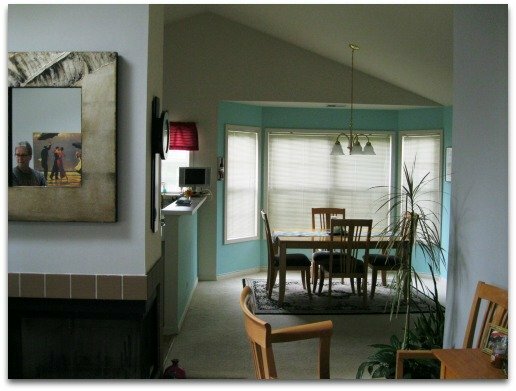 Over the years, Jay has completed many painting and other projects for us on our properties. We have complete confidence hiring this exceptional crew and I do refer them often. We had been looking locally for a painter and found Jay's flyer on our front door. After getting a couple of other estimates we decided to go with Jay's Quality Painting due to Jay's enthusiastic attitude and willingness to offer & receive suggestions. The work was scheduled, the painting was done on time, and the results were more than we could have asked for. They are very professional and easy to work with. We highly recommend Jay's Quality Painting to all of our friends & family. All-in-all, a great experience. He did a lot of things. It started out by doing a power washing of our patio and house and he ended up also doing some painting and carpentry work, which was all done very well. He also hand washed our gutters and so forth. I was really impressed because I thought he did a great job. When he was coming to do the job initially, it was on a Monday. He was prompt. One day he couldn't make it due to the weather and he called to let us know. Everything looks beautiful that he did. We are very pleased with the work and it was done at a very fair price. We have had compliments from our friends and they have asked who did it and we let them know. His clean up was unbelievable. He cleaned everything as the work was completed. When he left it was in tip top condition, spotless. We were very impressed. We had Jay do woodwork, siding repairs and painting on both our home and a rental house. His knowledge of the work to be done and the repairs needed was right on. Their attention to the job at hand was fast and completed in a timely manner. The work at both properties was neat and clean, and didn't leave any mess to be cleaned up. I would consider him as responsive and a conscientious contractor. I recommend his work and would use him again. Fixed or replaced soffits and fascia on outside of townhouse and painted outside trim and the repaired areas. I purchased a foreclosed property for rental. The outside of the townhouse had not been maintained for many years and had water damage to fascia and soffits, and all the trim required painting. Jay responded quickly to phone calls. He was friendly and knowledgeable about the repairs and spent as much time as I needed to discuss various ways the repairs could be accomplished. The work began as soon as weather permitted and was finished on time, on budget, and looks great. It was a good experience for me and I will use Jay's Quality Painting for future projects. Professional, reliable, honest, and most importantly, he did amazing work! Hire this guy. You won't be disappointed! I love the final outcome and I so appreciate his reliability and workmanship. Two damaged aluminum siding corners were replaced (Jay took the time to find a supplier that had corners that were an almost perfect match). The house, garage, and shed were power washed, and soft hand washed. All 3 structures were then hand, pole sanded. Wood trim and trim around windows were scraped, sanded, and caulked before painting. The garage siding had damage, those areas were primed, filled with bondo, and then primed again before painting. The aluminum sided house and shed were primer painted and then painted with Sherwin Williams "primer and paint in one". 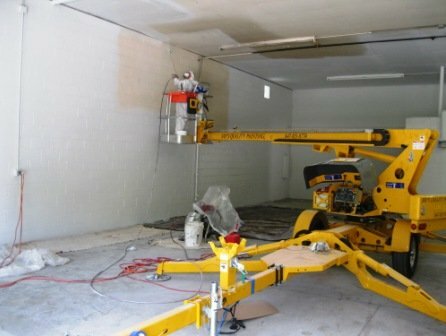 Garage was also painted with two coats of the same "primer and paint in one." Garage side door and large overhead door were painted to an almost perfect match to an existing door. Wood deck was cleaned, sanded, and bad boards were replaced. Deck was stained with Cabot Premium Solid Deck Stain, two coats. Jay and his team of 2 workers were thorough, efficient and incredibly skilled. Almost 2 whole work days were spent doing the prep work, and I appreciated his use of brushes and rollers on our siding, even though other companies said they would use a sprayer. The work site was always clean, and he was available for emails and phone calls to go over any concerns or questions we had. Work was finished in 1 week; Jay and his team were there by 8:00-8:30 everyday and came in on a Saturday to get ahead of some rain that was predicted. Type of Work: Carpentry-woodworking, Painting-Exterior, power washing Excellent, detail-oriented company. We had exterior cedar staining done in May 2014, and we were very pleased with the work and the professionalism of Jay and his team. 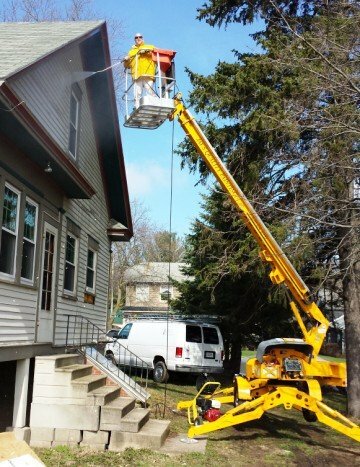 They prepped the wood, completed repairs, and provided extra work above and beyond the quote, which was well-priced for the quality job and materials. We highly recommend Jay's Quality Painting. From first contact, through bidding, and eventual completion of job, Jay's painting maintained a high level of communication. Phone calls were dealt with in a timely manner along with email proposals and follow up concerns. The crew on site always acted in a courtesy and professional manner. They also strived of a high level of craftsmanship, which they accomplished. Throughout the job they communicated well and interacted with me to stay on schedule. They also helped in choosing a quality product to use, and offered their discounted pricing to aid in purchasing. I would with out hesitation recommend them to anyone. Jays Quality Painting painted the entire exterior of my home. He did a outstanding job and brought the house back to life!!! He did exactly what he said in his proposal and in a timely manor! 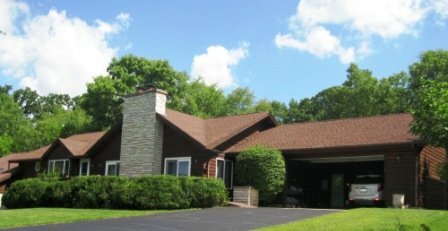 Type of Work: Power washing, Woodworking, Exterior Stain siding, and wood trim paint exterior doors replaced popped nails with new, caulked all cedar siding were it met wood trim, windows and doors. Replaced metal trim. Our house looked horrible, the cedar was dried out with black mold on it. It was neglected for a long time. Jay came out and gave me an estimate and suggested what should be done. He and his crew where prompt and very professional. He explained what was being done and why. The windows, wall lights and deck were taped off and covered with plastic to prevent splatters. The metal window frames had oxidation on them and he removed it with out being ask, look almost new. The yard was left clean. The house now looks beautiful, he did a wonderful job. The stain he recommended was prefect. I would recommend this contractor to anyone with out hesitation. Type of Work: Power washing, Exterior stain siding, wood trim and doors painted. 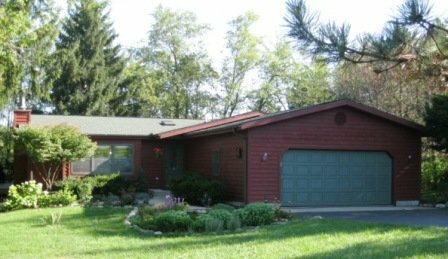 Exterior of the house had multiple stain products over the years and was very weathered on the South side of the house. Jay gave me several options of products that would hold up and what was needed to be fixed prior to painting. He had a carpenter if needed but I had my neighbor fix and caulk window trim. I was very impressed with the detail his team put into going around metal trim, outlets and gutters. There were no paint drips on the concrete, window frames, or deck after he applied two coats of paint. My wife was very comfortable with Jay and his professional team. He was always available via phone and kept me up to date. He provided a 2 year warranty. The house looks great. Type of Work: Completed residing of 2nd floor dormers, scraped, primed and painted portion of house exterior. Overall we are very pleased with the job Jay and his team did. We had completed a portion of the job on our own making the bid to complete unfinished work complicated. Additionally it wasn't just painting required. Jay was prompt, professional, fair, and trustworthy. Additionally Jay and his team went above and beyond by touching up some portions of the house not quoted in the contract so the job would look great when they were done. Communication was good before, during, and after the work. Jay did what he said he would do, when he said he would do it. Jay and his team are top notch. Type of Work: They Power washed the house, scraped and sanded where needed. Then covered bare spots with primer, caulked all seams (after removing old caulk ). Then finished painting the rest of the house. Good job! Jay came out promptly to give a estimate. We went over colors and how long it would take to do the job. I decided the price was good and he could get it done in a timely manner. The job started on time everything was going to plan . Then we ran into rain. Jay keep me informed every day when he could get back and finish job. We had to wait for the wood to dry. Jay's team waited for the right time and finished the job. They also on their own put a handrail up on my stairs I have in my garage to my house so my 87 year old mother could get up easier. Thank you Jay. Jay’s team stained our trim, sanded and replaced the toe kick at our back porch door. It went well. Jay was professional, gave us a quote and stuck with the price. He and his workers were professional. When there was a delay due to the weather, he emailed us at 6:30 in the morning and kept us apprised of the schedule. He got the entire job done in 3 days, and it looks great! He stained all the trim and painted our front door and columns. A great job at a fair price, and no hassle. We needed a room painted where the walls were unfinished wood paneling. The job required caulking, priming, and painting. 3 people on the job - the job was complete in 1.5 days. We're are very happy. It looks great. We will definitely use Jay's again. At the time of quoting the project, we thought that our pet parrot would be in the house - and we were concerned with paint fumes. Jay made sure they were to use 0 VOC paint (no fumes). He also thought he'd be able to plastic off the room, so that would give another level of protection for our bird. I was appreciative of the effort. As it turned out - the same day Jay's was able to paint, we also had a new roof installed. So we moved our bird out of the house - meaning that the plastic off the room wasn't required. Very good experience. Jay's made it as painless as possible. I found Jay on Angie's List and described a reasonably small job (re-stain a dock) with a very unreasonable time line. Jay came out and assessed the job and provided an estimate very quickly. When it subsequently turned out that the job was significantly more complex, because of environmental concerns, Jay arrived at a workable solution. There was no additional charge for the extra work needed. He executed flawlessly and well in advance of the agreed upon schedule, allowing us to complete phase 2 of the project ahead of schedule. I would highly recommend Jay because of his competence, execution and outstanding customer focus. I have asked Jay to quote on additional work, and expect to be using him again over the summer. It went very smoothly. Jay kept me informed of progress with repeated text messages, since I was traveling out of state when the work was done. They painted the majority of the inside of my home. The guys were great to work with, and did an amazing job! My satisfaction was their priority, and we all know how rare that is. I will be calling Jay for my next job. 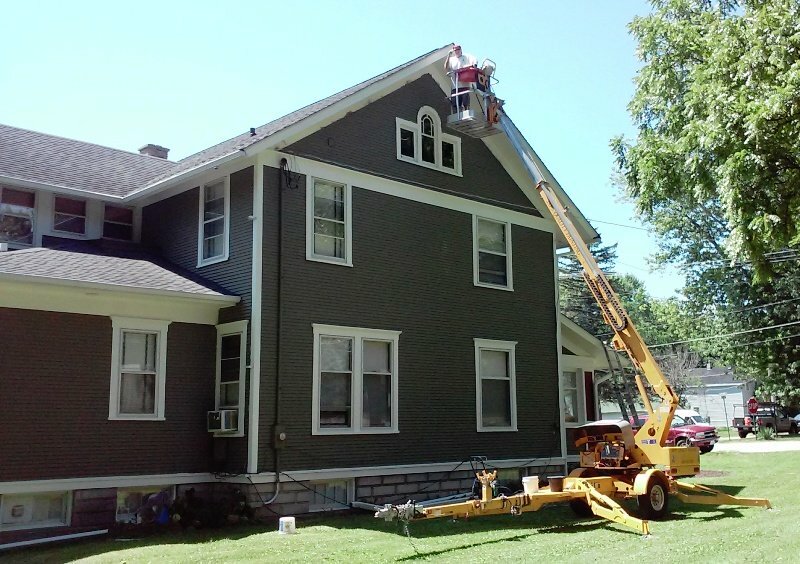 Exterior staining power washing, caulking, and carpentry. All work was completed when he said it would be. He was very punctual and if the weather was inclement he called ahead to say he would not be there. They did a fantastic job. He made sure we were absolutely satisfied before he left. We had a bad experience before with another contractor who I caught adding water to the stain. He was so good our neighbor also had him stain their home and deck. We wouldn't use any other contractor for staining. We also received a written guarantee. Thank you Jay for your outstanding job. Prepared and painted two very large metal buildings, including the roofs - paint on one of the buildings had a very serious peeling problem. Also painted One - 2 story house. Jay & his crew did a fantastic job for me. The work was completed faster than I thought it would be and it was done the right way with the right paint. "Quality" is the right name for this company. Jay came in at short notice to provide accent wall painting to update colors in a $1,100,000 real estate listing in South Barrington that I was staging. 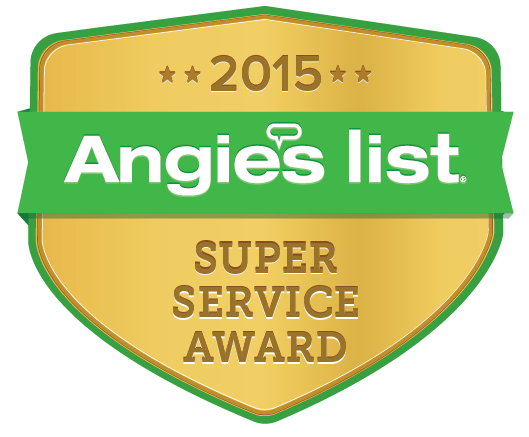 I called 4 companies I found on Angie's List and no one followed up. Jay was my next call. He called me back on the same day, met me, the owner and the Listing Agent at the home the next day, gave us his contract, pointed out some intricacies that needed to be addressed and did a wonderful job in a very quick turn-around time. Job went very well. Jay is great at communication, they start on time, and the clean-up was perfect with great attention to detail. He will be my go-to guy when in the North suburbs! Member Comments: Excellent Job!! Jay and his crew were very professional and timely. Besides an excellent job with the staining, Jay wisely advised us on repairing a few sections damaged wood. As the damage was hard to view from the ground, I was very happy he repaired the damage, rather than just painting over the spots. The end result was outstanding.